Purchase comes with a 1A power supply and a really UGLY white case!!! This item has been discontinued and is not returnable. This version comes with an SD Card with NOOBs pre-installed (At this point this version is super old!!). If you already have that or plan to do it yourself you can get the Raspberry Pi Model B by itself here. 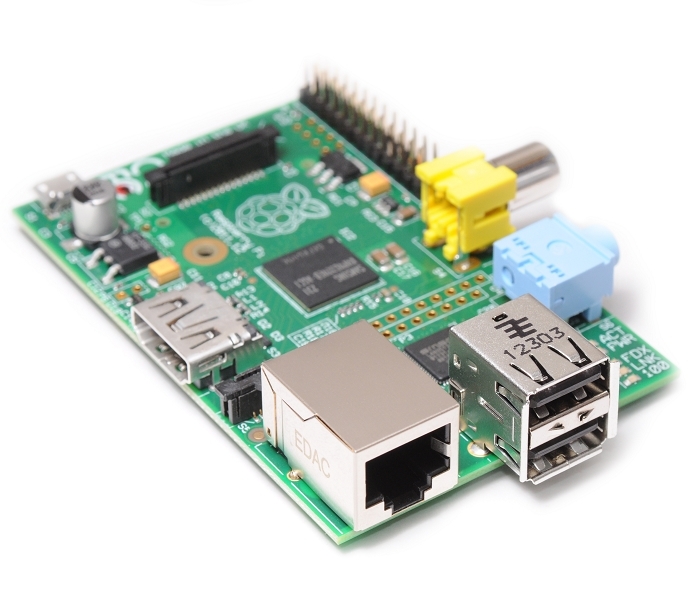 The Raspberry Pi is a credit-card sized computer that plugs into your TV and a keyboard. It s a capable little PC which can be used for many of the things that your desktop PC does, like spreadsheets, word-processing and games. It also plays high-definition video. We want to see it being used by kids all over the world to learn programming. The design is based around a Broadcom BCM2835 SoC, which includes an ARM1176JZF-S 700 MHz processor, VideoCore IV GPU, and 512 Megabytes of RAM. This revision 2.0 board features two mounting holes for easy installation, a built-in reset circuit, and can be powered via the USB data ports. The design does not include a built-in hard disk or solid-state drive, instead relying on an SD card for booting and long-term storage. This board is intended to run Linux kernel based operating systems.